The 8x8 RGB LED Matrix! This module is a square panel with a XH2.54 3-pin interface. This 8x8 RGB full-color LED matrix module is based on WS2812 intelligent control LEDs. Each LED can be independently addressed with RGB pixels that can achieve 256 levels of brightness. That’s 16777216 colors in total with a scanning frequency no less than 400Hz! 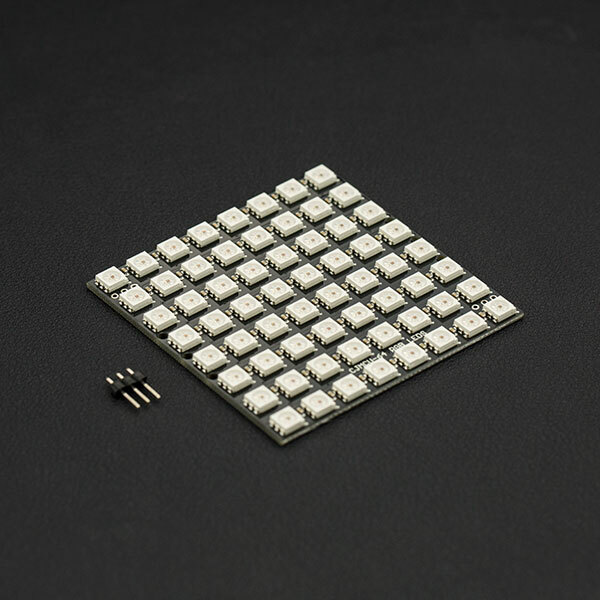 The 8x8 RGB LED Matrix is single wire control board. The module also supports cascading control. All you need to do is connect Din to the DOUT port. In combination with the open source Arduino library, you can control an entire array of LEDs using just one pin! Note: Each LED requires a maximum current of 18mA. When multiple modules are in use, it is recommended to use external power supply to power multiple LEDs matrix. 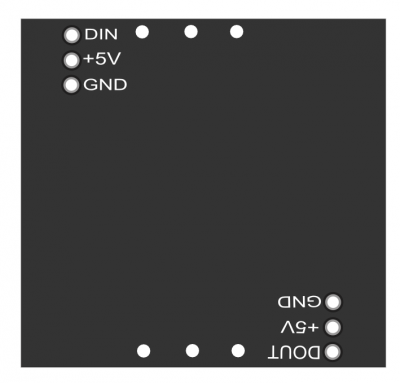 In this section, we'll use Adafruit_NeoPixel RGB LED Lbrary. How to install Libraries in Arduino? 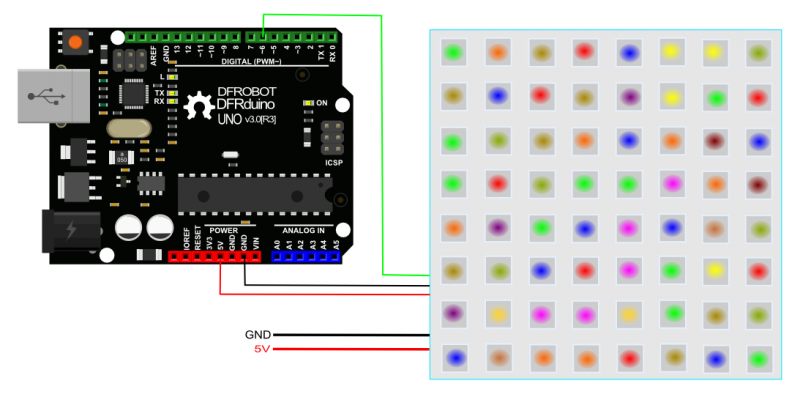 Shopping from 8x8 RGB LED Matrix or DFRobot Distributor.